A look at the career of Bond 25 director Danny Boyle. Danny Boyle in 2017. Photo by Maximilian Bühn. Licensed under CC-BY-SA 4.0. Note: In August 2018 Boyle left Bond 25 along with his writing partner John Hodge. 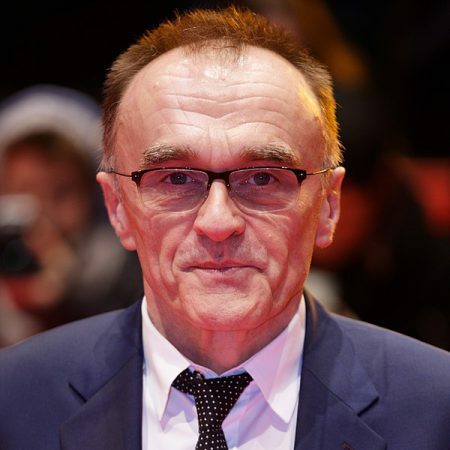 The son of Irish immigrants, Danny Boyle was born in Manchester in 1956. Realising from an early age that he wanted to make movies, Boyle abandoned his studies at the University of Wales to pursue theatre. Boyle cut his teeth on projects for organizations like the Royal Shakespeare Company before an opportunity to direct British television came his way. While a few directing credits on shows like Inspector Morse elevated Boyle’s credibility in the industry, it wasn’t until he made Trainspotting in 1996 that the director finally piqued the interest of international audiences. Already an award-winning director with numerous BAFTA accolades to his name, Trainspotting’s success catapulted Danny Boyle to stardom, both at home and in the United States. The resulting Oscar nomination, Trainspotting’s financial success and additional directing work down the line eventually led to The Beach, a 2000 release that allowed Boyle to direct the likes of Tilda Swinton and Leonardo DiCaprio. The movie attracted mixed reviews. None the less, Danny Boyle’s directorial involvement further cemented his place in Hollywood. 28 Days Later followed soon after, a horror movie which proved that Boyle could venture out of his perceived comfort zone to great success. The movie earned Boyle high praise from film critics, and so did 2007’s Sunshine. But it was Slumdog Millionaire that made him a global star. While Trainspotting is often held up by the director’s fans as his best work to date, it is because of Slumdog Millionaire that filmgoers the world over know who Danny Boyle is. This movie, about a poor Indian boy who accumulates wealth through a series of unexpected circumstances, won an impressive eight Oscars. Some questions have been raised about Boyle’s ability to shepherd a franchise as massive as James Bond. Critics of his involvement in Bond 25 point to The Beach to support their argument. He had been handed the biggest budget of his career and charged with directing the biggest movie stars he had ever met. Some of his critics believe that the eventual failure of the movie ultimately proved Boyle’s inability to manage projects of a larger than average scope. The movie also caused a rift between Boyle and Ewan McGregor. After McGregor was promised the lead role Boyle chose Leonardo DiCaprio instead. On the other hand, Slumdog Millionaire was made for a paltry $15 Million. In early 2018 Eon Productions confirmed Boyle had been signed to direct Bond 25, with a screenplay written by his long time collaborator, John Hodge. Boyle previously directed the 007 short, Happy and Glorious, for the opening ceremony of the 2012 London Olympics. In the film 007 and the Queen appear to parachute into the stadium from a helicopter.